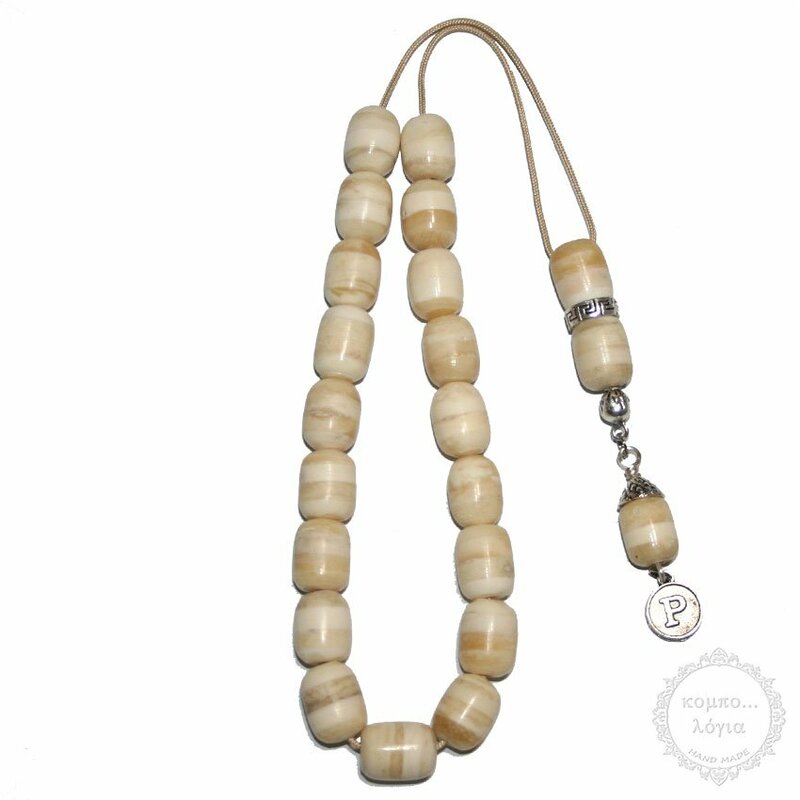 Bull Bone handmade komboloi created with 19+3 natural Bull Bone in barrel shape beads of 12x15mm diameter with original Tibetan silver metals, 33cm total length, and 66g total weight. It comes with a gift vintage pouch. In unique Handmade design with strong cord for everyday use.